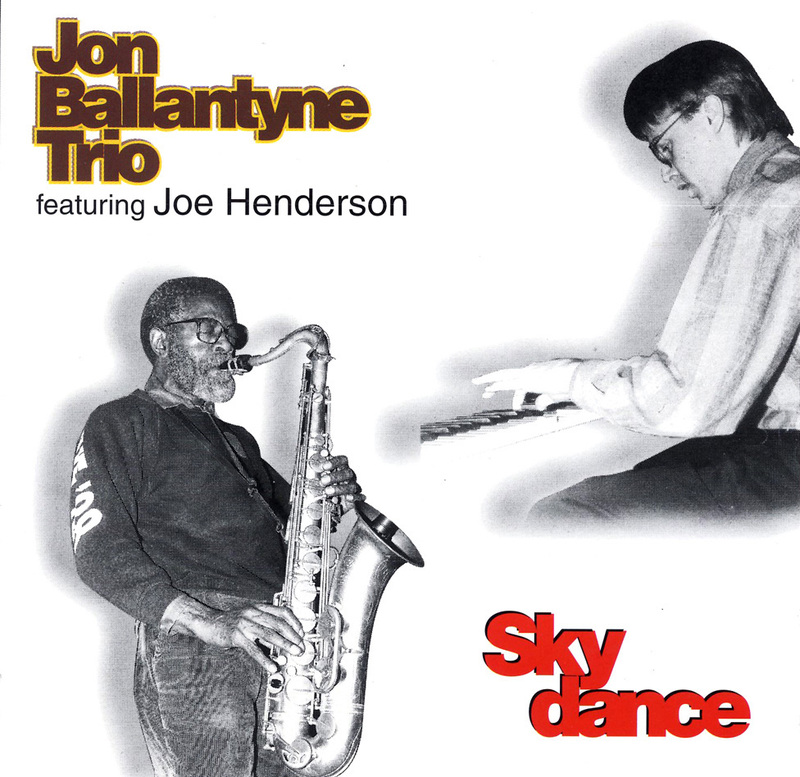 Not before listening to Sky Dance (Justin Time 30-1) had I heard of Jon Ballantyne, pianist, composer and leader of a first-rate trio. Not only does he create engaging melodies, but their quality inspires superior improvisation, primary from the composer and the trio's quest, tenor saxophonist Joe Henderson. But do not assume that because Henderson here plays with musicians not widely known that he condescends to humour the provincialists. Rather, the group seems more a quartet than trio plus visiting famous player. Clearly Henderson is inspired by the compositions and his fellow musicians, who include bassist Neil Swainson and drummer Jerry Fuller. Each of the five performances on this album delights, from the up tempo 'Oh What I've Been Thru' to the angular 'Opus IV' to the slightly whimsical 'BYO Blues' (with Henderson at his most Rollins-like) to the title tune, which is a beautiful ballad. On the only non-Ballantyne composition, the quartet romps through 'You And The Night and The Music' so deftly and with such passion that one marvels that this is not a regular working group while wishing that it were. Although lack of liner notes leaves me wondering about the circumstances surrounding this recording, I assume that Henderson was playing in Montreal in December 1988 with a local rhythm section (Ballantyne's) and, because of the quality music they made, someone decided to record them. But whatever led to this recording, the contents of Sky Dance will surprise and please all lovers of improvised music. All of the releases reviewed here offer something worth while. Of them, Jon Ballantyne's "Sky Dance" and Chiasson and Wayne's Point Counterpoint" are most likely to be listened to seriously ten years from now.